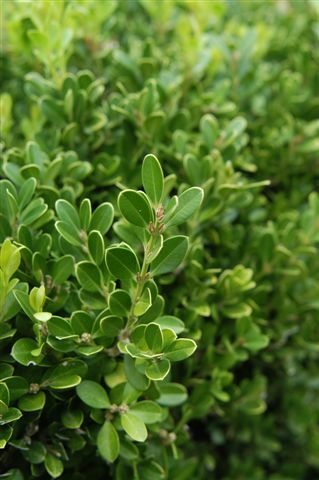 HABIT: Compact shrub with rounded leaves. Medium to light green color and soft texture. Shallow roots. Native to Japan, Asia, Europe, and North Africa. B. Koreana ‘Green Mountain’ is a great-looking compact form. CULTURE: Any well-drained soil, moderate water and fertilizer needs. 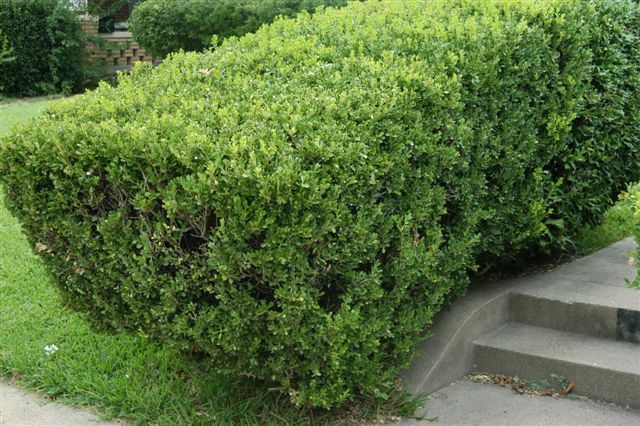 USES: Border, low hedge, foundation planting. Not recommended unless a short clipped hedge is needed. Can be kept trimmed to 12” height. PROBLEMS: Nematodes, leaf miners, scale, soil fungus, and freeze damages.